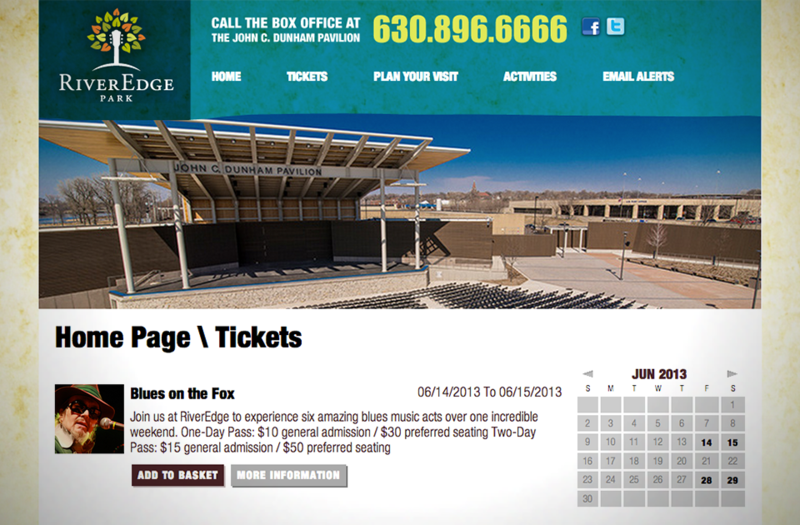 RiverEdge Park is a civic beautification project for the city of Aurora built along the banks of the scenic Fox River, which offers both the wide open spaces and greenery of a park and a pavilion capable of hosting exciting live performances from such big-name acts as The Beach Boys, BB King, Boston, and Peter Frampton. 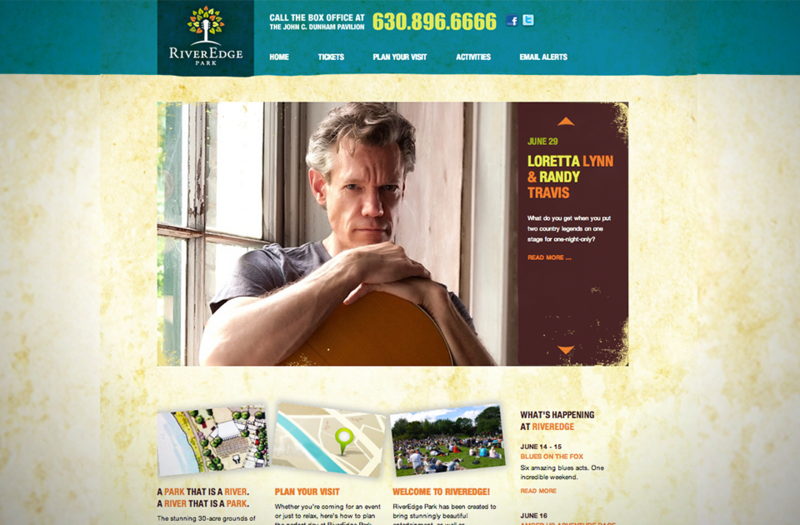 They needed a website that was powerful enough to handle the busy schedule of events while also spotlighting the ways that RiverEdge added new life to the city. 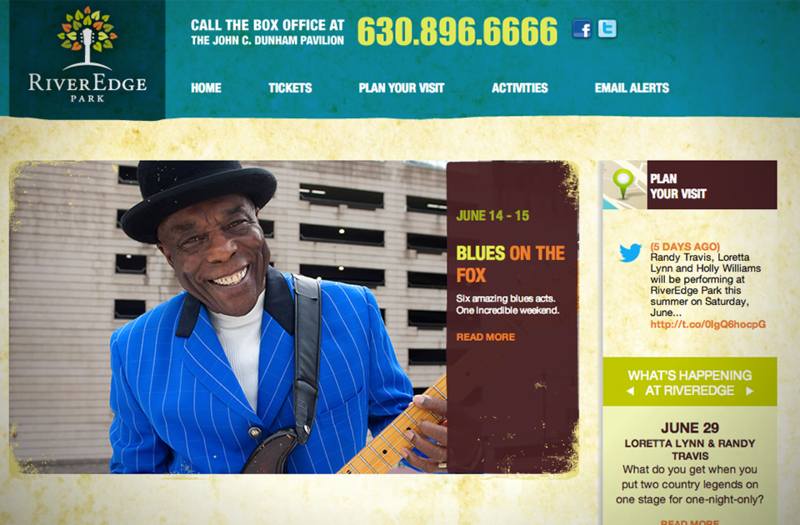 By adapting our GroundPlan CMS – a theme framework we developed specifically for events-driven organizations – we produced an easy-to-use system that could handle the multiple acts and prominently display photography, while giving patrons the ability to choose from multiple ticket options through the venue’s seamlessly integrated AudienceView® ticketing system. 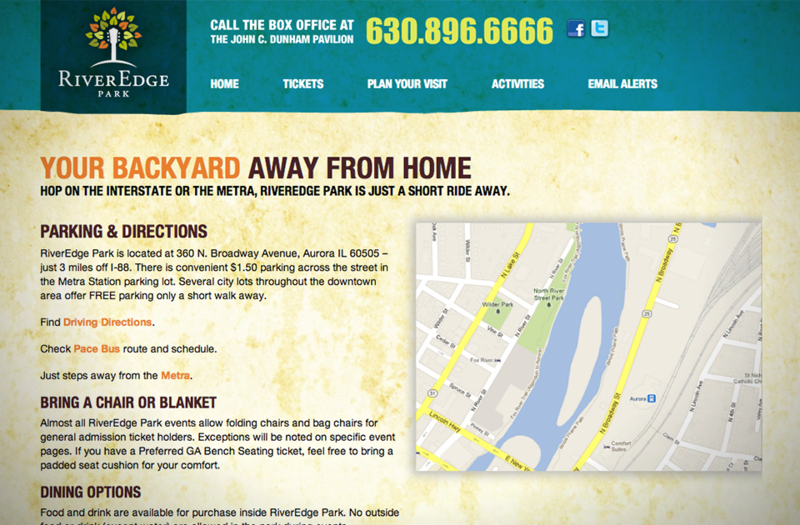 This functionality is balanced with content about RiverEdge as a lush and relaxing place to simply spend time outdoors.